The small town of Seborga is located in the hills of western Liguria on the border with France: inland, between Ospedaletti and Bordighera, also near the city of Vallecrosia and Camporosso. Seborga is declared, even today, independent principality: has its king, its laws and beats even currency. For the Italian state, of course, this principality not exist and is not recognized, but wandering the streets of the country you can still feel the atmosphere of the past meet the guards of the city police with picturesque uniforms and those who want it can take the passport or driver’s license bearing the stamps of the Principality. Due to its location, always exposed to the sun and with the mountains that protect it from cold winds from the north, Seborga enjoys a temperate climate with cool summers and mild winters. E ‘reachable by car, via the nearby motorway exit of Bordighera on the A10 continuing along Provincial Road 57. The signs along the road are easily visible, following the signs you can not go wrong. Upon arrival, you can park safely in the main square or in a parking lot near the center. By train, railway line Genoa-Ventimiglia, Bordighera station that is closest to the country. BRIEF HISTORY OF Seborga. In the fifth century AD, the place where it stands today, the country was known as “Castrum Sepulcri”, renamed in the seventh century “Sepulcri Burgum”, then “Seporca” and from here Seborga. Former stronghold of the Counts of Ventimiglia, in 959 AD was ceded to the Benedictine monks of Lerins and the title of prince (now the Lerins Islands are located off the coast of Cannes in France, in the French Riviera). In 1079 Seborga became a Principality of the Holy Roman Empire and was born the first Cistercian State in history. In 1660 was instituted the “Mint of Seborga”: the coins minted in gold and silver (the so-called Luigini) did not receive a good reception, and after thirty years of activity, the mint was closed. In 1729 the King of Sardinia bought the principality with a document written and signed in Paris, which turned out to be ever recorded. Similarly is not track ownership changes, nor the existence of Seborga and no document of the Acts of Unification of Italy in 1861 refers to the Principality. 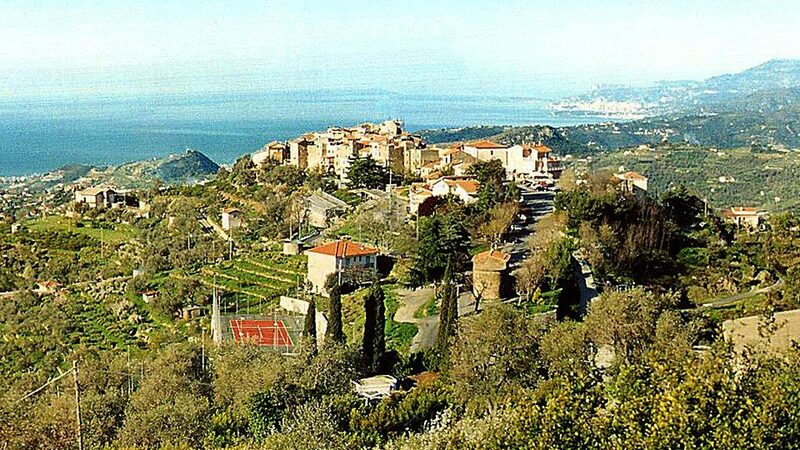 Nor does it appear that, in 1946, the territory of Seborga has been considered part of the Italian Republic. In 1963, the sovereign people elected Prince George I in 1995 and the rielesse life. The king opened the mint where they coined the Luigini, that still circulate freely within the territory of Seborga. The Luigini have no legal value, but are used as “good” expendable in the country. TO SEE A SEBORGA. In this charming medieval village from traditional streets and downs, there are monuments of great interest. At the entrance of the village is the small Oratory of San Bernardo which dates from the fourteenth century. In the heart of the village is located the Parish Church of St. Martin, which has a baroque facade. The interior, of modest size, has three altars and the walls you can admire works nineteenth century and the statues of St. Martin and St. Sebastian. In the historical center there is the Palace of the Monks, a stone building and home to the “Mint”. Do not miss a visit to Government House where you can buy, for remember, the stamps issued by the Principality and Luigini, the official coins. From the Chapel of St. Just, a small church located on the hillside of the country, you can enjoy a beautiful view of the sea and of Seborga. The village also offers a very rich cuisine to be enjoyed in its cozy and reknown restaurants. Olive oil is the main industry of the region: there are workshops in Seborga, where the millstones turn the best olives in very good extra-virgin.